“Baka Naman Hindi”, the Filipino adaptation of Georges Feydeau’s play “La Puce L’Oreille” (“A Flea in Her Ear”) returns to the CCP Little Theater from April 25 to 28, 2019 (3pm and 8pm). 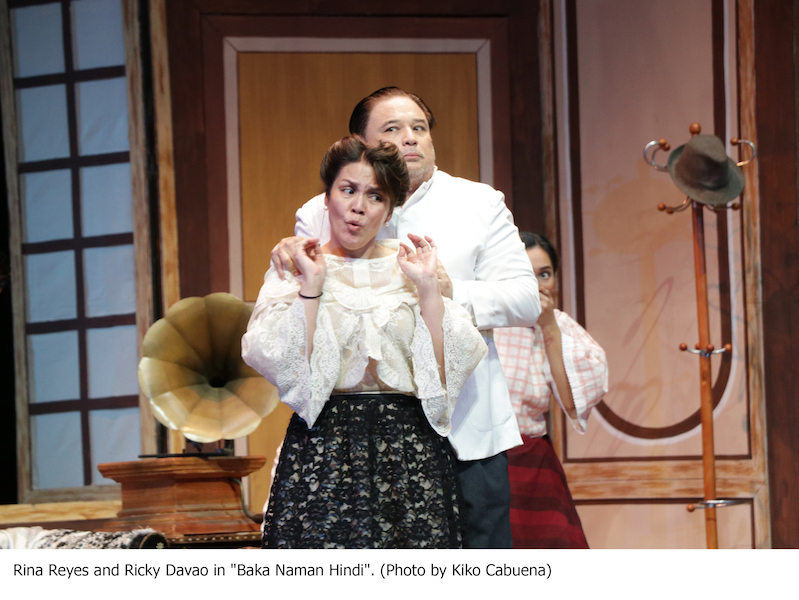 A classic farce filled with innuendo, physical comedy and snappy dialogue, “Baka Naman Hindi” features Ricky Davao and Rina Reyes, together with other notable names in Philippine theater, television, and film– Rafa-Siguion Reyna, Tex Ordoñez-De Leon, Nazer Salcedo, Randy Villarama, Raffy Tejada, Wenah Nagales, Lao Rodriguez, Mosang, Jonathan “Tad” Tadioan, Marco Viaña, Jef Henson Dee, Felipe “Ronnie” Martinez, Kathlyn Castillo, and Aldo Glenn Vencilao. A presentation of the Cultural Center of the Philippines with CCP President Arsenio J. Lizaso as producer, “Baka Naman Hindi” was adapted by Virgilio Beer Flores. 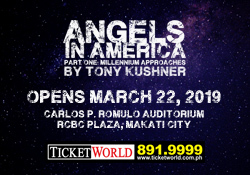 Ohm David designed the sets, James Reyes is costume designer, TJ Ramos is sound designer, and Dennis Marasigan is director and lighting designer.